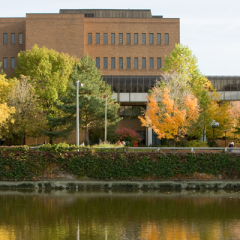 While earlier this month White House officials proposed the idea of limiting students’ borrowing ability to pay for a college education, the University of Michigan-Flint was delivering on its promise to make an education more affordable and accessible for Flint students. As it promised in 2018 as part of the initial announcement, UM-Flint signed an MOU officially becoming a full partner to the Flint Promise Scholarship, now allowing students to come directly to UM-Flint after graduating high school beginning this fall. The Flint Promise scholarship program is for graduates of Flint high schools and GED programs covering the cost of tuition, books and other mandatory fees, after federal grants and other scholarships have been applied. It allows eligible students to attend participating colleges at little to no cost, increasing access to higher education for Flint students. 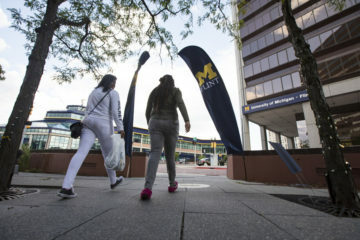 Before the MOU, students had to earn an associate degree or transfer certificate from Mott Community College to transfer into UM-Flint where they could extend the scholarship in pursuit of a bachelor’s degree. 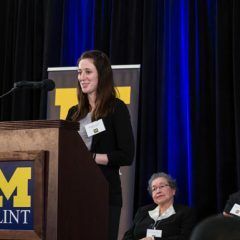 “We are proud to now become a full partner with the Promise Scholarship as part of our long-standing commitment to promoting a college-going culture and to make a University of Michigan education more accessible to Flint students,” said Kristi Hottenstein, UM-Flint vice chancellor for enrollment management. 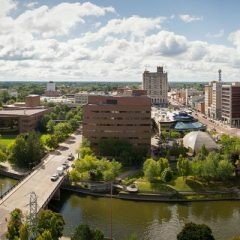 Established in 2018, the Flint Promise is a collaborative partnership between the Flint community and Mott Community College, Kettering University and the University of Michigan-Flint to ensure access to higher education for all Flint students. The scholarship is housed at the Community Foundation of Greater Flint and is administered by the Flint & Genesee Chamber of Commerce. To learn more, visittheflintpromise.org.